While the world's attention is focused on North Korea's nuclear and missile programs, it has developed its hacking skills into "an almost perfect weapon" and earns as much as US$1 billion a year from cyberheists, The New York Times reported on Sunday. The North has more than 6,000 hackers trained to steal secrets and money from foreign governments and companies, the daily quoted a U.S. intelligence expert as saying. "Cyberheists may bring the North as much as $1 billion a year, or a third of the value of the nation's exports," the paper said. 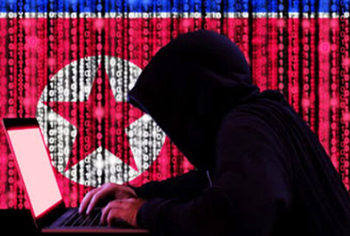 North Korea's hacking was mostly limited to military targets until Kim Jong-un took power in 2011, but has expanded into theft, disrupting intelligence, and propaganda. Its hackers have targeted Bitcoin and even tried to steal hard currency from the Federal Reserve Bank of New York. It is believed Iran and North Korea share hacking knowhow along with missile technology. The daily pointed out that a North Korean cyberattack on South Korean banks and broadcasters in 2012 was very similar to an Iranian attack on Aramco, Saudi Arabia’s state-owned oil company, several months earlier. The North apparently began training hackers in the 1990s. 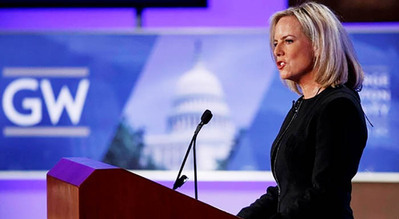 "Everyone is focused on mushroom clouds," said Robert Silvers, a former assistant secretary for cyberpolicy at the U.S. Department of Homeland Security. "But there is far more potential for another kind of disastrous escalation."